Why have a fake picture of the phone for this?? Yeah omg i just noticed it! I am so sick of being told no by manufacturers when it comes to repairs. The argument about needing to design a device this way to make it thin is a big fat lie. Isn't the reversion to usb 2.0 for the rapid charging to work? 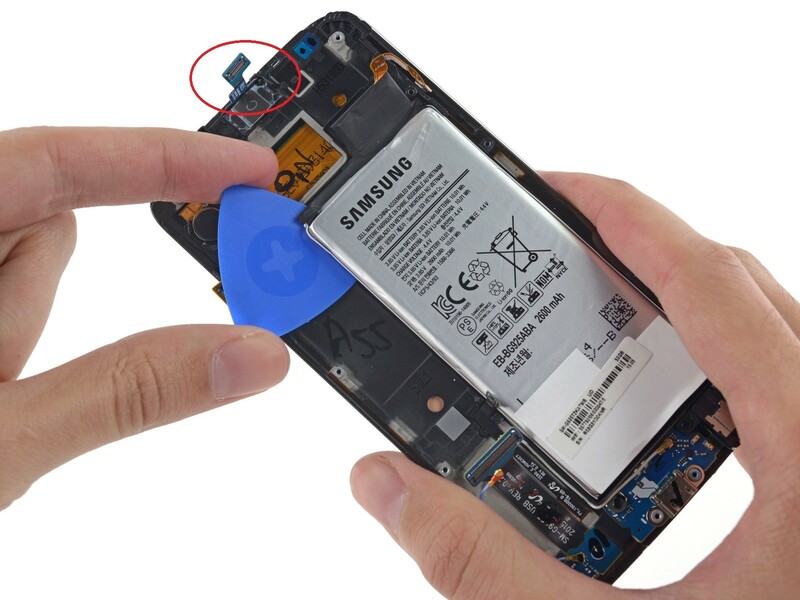 Where is the Baseband chip? inside the SoC? I fix phones for a living, and today I ran across what seems to be a later revision of this phone that has BIG PROBLEMS here. The screws on either side of the charging port are missing from this one - the antenna runs straight across and the screw holes are gone. On the inside, the plastic part of the speaker includes an extra bracket that basically has the charging port sandwiched between the housing and the speaker. There's also a screw holding the headset jack to the front housing that can't be removed until the rear housing is off. The end result is that taking this other version apart will probably result in the charging port flex destroying itself and the need to replace the back housing and speaker. The model number on this one was SMG925VZWA, a US Verizon version. I didn't have any other ones handy to compare the model number, but you can definitely see the difference once the back glass is off. If those screw holes are missing, be VERY careful taking it apart, and expect to need more parts. Space continuum cracked me up. Me too! I had to do a double read it made me laugh out loud! Could the galaxy s7(/edge) camera possibly fit in the galaxy s6(/edge)?? With the very least frame modding and loss of headphone jack. If you use the s5 modular cable. If it will even plug in or work. hey can you tell me what that tiny little ribbon is that leads off to the small circuit. top right corner in picture number two above. I broke that little ribbon and guy off disassembling....do I really need that to part...what does it do. Did you just break the screen? Does it still work? If it doesn't is there any way to replace the home button without breaking the display? My screen is cracked and I really don't want to pay 200 dollars for it to be fixed. Is it really impossible to replace just the glass without breaking the digitizer? repair-ability is a 3 when the apple watch got a 5 where the majority of the apple watch is "unrepairable". Something needs to be done with yalls scale as currently it looks like your an apple supporter and Samsung basher. Having to mod your tool with a file just to remove the screws on the apple watch trumps a glued back or glued battery in my opinion of repair-ability. Not trying to create any waves just pointing out the lack on continuity across your repair-ability ratings. Thanks for giving me a heads up look at the teardown for these devices as it's much appreciated. wesley burson, the phone doesn't need a full disassembly. At stage 8 you can remove the LCD. Point taken for screen and battery replacements... what about everything else tho? On the apple watch jut about everything else was "unrepairable". How is a device with multiple components "unrepairable" ranked higher then a device that is reparable regardless of the difficulty. 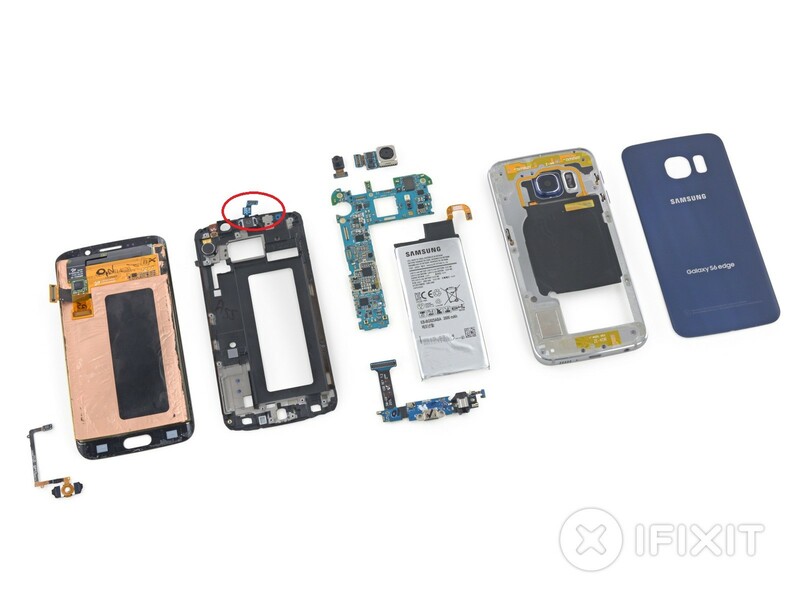 I would think "unrepairable" would have a lower score for the simple fact that if one of those components have an issue there is no repair option where with the S6 at least it's possible to repair. We are talking repairability here on an over all scale not just screens and batteries. Is the glass able to separate from lcd? Hi...I actually have a problem with the reciver of the phone and also the aux isn't working..which part should I buy to get it fixed..
Wow! 50% yield. That's terrible. Very interesting reading iFixit! Thank you. That's insane. That just gave me a reason to not buy a galaxy. They need to figure out a better way of manufacturing the screens. Which also explains why Samsung parts are so expensive compared to Apple. The yield. You are actually layig Samsung for 2 screens that's ridiculous. complimenti per una guida così chiara. Il punto è che avendola seguita, ho cambiato la scheda madre del mio S6 Egde (925F). Funziona tutto egregiamente ma la ricezione e soprattutto l’invio dati sotto copertura 3G, 4G, LTE è lentissima. Cosa posso aver sbagliato? Cosa devo controllare? where do i get the screen for $26? what would be the minimum step i'd need to reach to access the sim port? I purchased a phone that had a nano sim inserted without the sim tray. I've just replaced a broken screen, everything went well, but soft keys (Back and Recent apps) not working on new screen ! Are those keys being controlled by screens digitizer of the daughter board that has the LEDs for them ?! should I send back the new screen as faulty ?! or sth happened to daughter board when I opened it (which I doubt). Incorrect. The touch buttons on the S6 Edge are also on the daughterboard, but are not ribbons that attach to the screen frame (as with the S6). Instead, they are on the opposite side of the daughterboard and are pressed into place by the natural pressure of the board against the screen. This makes the replacement of a charging port much easier due to not having to remove the LCD from the frame, which is tedious. Replacing the home button is the same as on the S6 - you will have to remove the screen frame from the LCD to access it. I changed the screen but now my touch cover doesnt work anymore, where is this sensor located? i dropped my phone in water. is there any way to recover the data or fix the phone? Replaced screen now having trouble getting it back together. Screen to midframe gap at the power button area. Any suggestions?? It's much easier to root the phone and disable the wifi chip in the build.prop file. Google that. I would be more worried about disabling cellular than disabling wifi. Hello! Where can one get a genuine battery replacement. Samsung in my country won't replace my faulty battery saying I didn't buy the phone from the region. I have my s6edge+ all in pc's I need digitizer LCD battery. And the main belt wire front face glass weird mine was plexiglass and I'm ready to assemble. Hi! I replaced battery then the microphone and ear speaker don’t work and loud speaker not working during phone call. Shall I change a new ear piece? How about microphone, I can’t find this part. Any help would be appreciated! Hello Guys i have probleme in my phone samsung galaxy s6 edge the probleme is many stop in work and many time i restard my phone his stopped in samsung logo of depart please help me when probleme hardware or software thanks.